Is it bad luck to tell someone what you are giving up for Lent? No. Luck is mostly not involved at all. On the other hand, there is some research suggesting that telling people your goals can keep you from accomplishing them. And the commitments we make are often a kind of goals. Nope. He did fast for 40 days at least once, as did several other people inside the Bible and out. Do drag racers and sprinters have an advantage in fasting? Not necessarily. It’s true that they are fast, but often fasting – giving up food (or something) for a period of time – actually invites us to slow down. So while fast people often have great focus which can help with fasting, physical speed isn’t a requirement. Do you have to be Catholic to practice Lent? Nope. Many of you who have been around Lent your whole life have more practice than those of us who didn’t grow up with Lent. But often, practice makes frustrated more than perfect. I think that the idea of routine lets us all start fresh: a ritual is something we do hoping to influence God. A routine is something we do to work on us. A routine like daily prayer or weekly Sabbath or a season of fasting can bring our minds back to the story of God’s work. Are you going to tell us about your Lenten practices for this year? I shot some video where I asked myself that question. My quick answer was that I’m giving up insecurity. Which then made me think about what that could mean in practice. And that discussion I’m not ready to share. I am, however, giving up the North American continent for two weeks during Lent, so that’s something. I’ll give up mentioning Lent For Non-Lent People after today. How can I recognize the voice of Jesus? I am still in the process of figuring out exactly what I am going to do. Insecurity resonates and envy is a close second. For those who haven’t read Lent for Non-Lent I highly recommend it. I am using it for the 3rd straight season. It’s practical, useful in a non-churchy way. It’s a great gift for just about anyone who is curious about God. 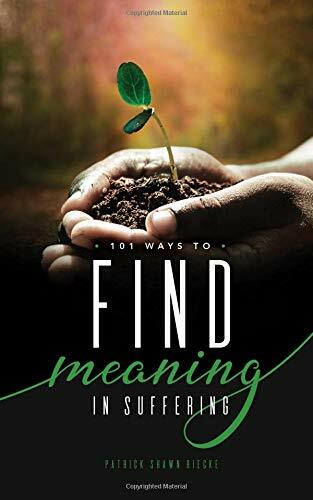 I just read this book and left this review on Amazon….I am a non-lent person and this book, which is so well written, helped me find my way through the meaning of lent. I first read it all the way through and now I will go back and read it slowly through the days of lent. I love the conversational way the author writes – down to earth friend to friend. I can’t even imagine yet how much this book will change my life as I go along. It has already helped and changed the way I see things. I am now going to read his blog and other books. Also I have to say that I have read hundreds of religious and spiritual books and this one is on the top of the list. Thank you Jon Swanson. thank you so much for your words, Donna. Jon.